Our 12th Annual tractor drive will be held on Sunday, August 4, 2019. Meet at Gaumer Park at 8:30AM to register and the drive will begin precisely at 9AM. We are allowing riders with seat belts and or arm rests with properly built buddy seats as shown below. Potluck Lunch will be enjoyed at the Blackstone Bloom Field Park on Route #83 around noon. Old Steam & Gas Club will furnish meat, buns, beverages and table service for a potluck. Route: Starting at Gaumer Park, Adamsville, head east on Rt 93, right on Sarbaugh Rd., left on Matchett Rd., right on Thomas Rd., straight onto Lookout Rd., right on Warner Rd. into the edge of Guernsey County heading south to Louana Rd. in Muskingum County, straight onto Rt 209 Cambridge Rd., left onto Rt 83 Friendship Drive and stop at Blackstone's Bloom Field Park for a picnic lunch. (meat, buns and drinks will be provided by the Old Steam & Gas Club) After lunch head south on Rt 83, right onto White Eyes Rd., left onto Highland Grange Rd., left on Barr Rd., right on Bird Rd., left on Sarbaugh Rd., right onto New Hope Rd., left onto Rt. 93 Adamsville Otsego Rd. back to Gaumer Park in Adamsville. Total of 29 miles. Consists of a lot of gravel roads and curves over the beautiful rolling hills of Eastern Muskingum County. QUALIFICATIONS: Driver must be 16 years of age with a valid Ohio drivers license. Drivers must follow all traffic laws. 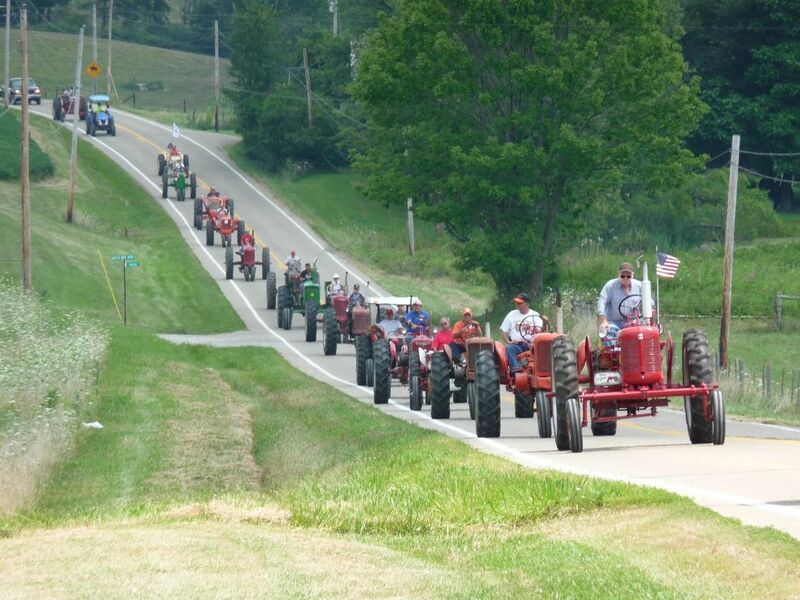 There will be absolutely NO passing other tractors. Everyone must stay with the group at all times. Tractors must drive on the shoulder of the road when possible to allow other traffic to pass. Drivers must follow the designated route at all times. Must display a slow moving vehicle sign on each tractor. Working lights are encouraged but are not mandatory. Must be able to maintain 8 mph at all times. A donation will be accepted at sign in and will be donated to a local charity. 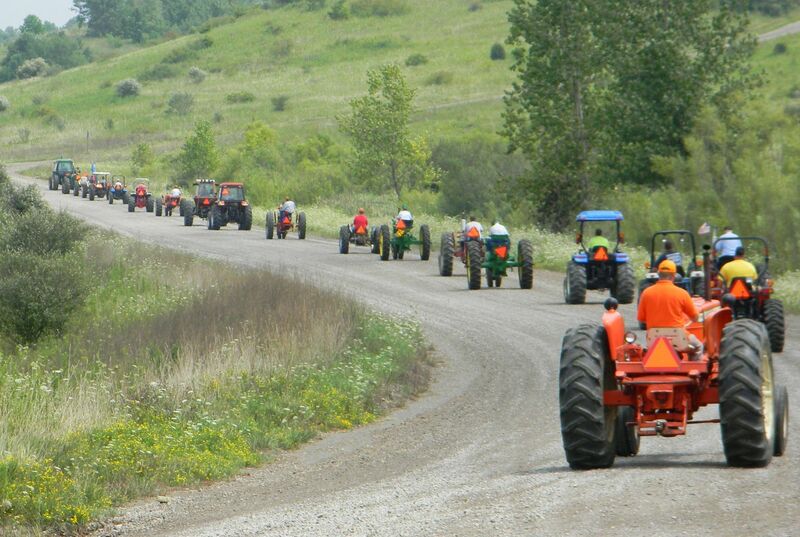 You may drive any running tractor, old or new..